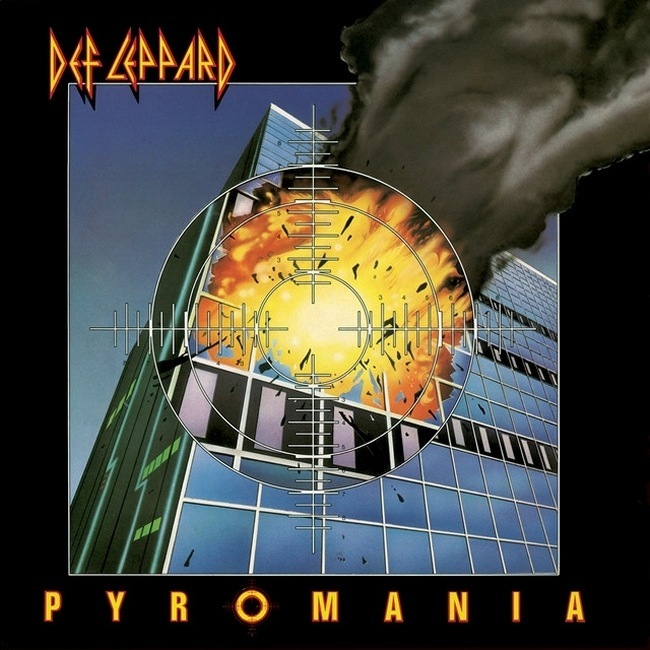 Def Leppard's classic Pyromania album reached Number 18 on the UK Top 100 chart 34 years ago on this day in 1983. The band's third studio album was released on 18th February 1983 and entered the chart on this day at its peak position of 18. It would only spend five weeks on the chart in its initial run. Falling to 31 in the second week. Following the re-release of the 'Photograph' single in February 1984 it re-entered at Number 87 before falling out again after 2 weeks. It's 8th and final week in the chart was in mid September 1987 when it re-entered for one week at Number 100. This was based on the success of the the newly released 'Hysteria' album. U2 were at Number One on this day with their album 'War' which was the highest new entry. Other rock acts on the chart that week included Thin Lizzy (04) and Journey (38). "Pyromania got titled Pyromania because a guy called Craig Thomson, who was an engineer on it accused us of being PYROMANIACS because we were having such a bad time trying to get the Marshalls to sound good on the Pyromania album." "At one stage Steve and Mutt suggested we should take them into the garden and burn them. Craig piped up in a brilliant broad Scottish accent." "Arck you're awl just a bunch of Pyromaniacs! - and hence it became Pyromania. That is where that album name came from, pure accident. That is outside input of a sort but on a definite inside trait and definitely not 'I've got an idea for the album' sort of thing." "Goodbye Pete Willis, hello Phil Collen." "We decided to try and do something that no other rock band had tried before - blueprint "Sgt. Pepper" (but a bit heavier)." "A period of time when we allowed our Pop sensibility to come to the fore...and guess what? Our first major success...huge in the U.S....but nowhere else."